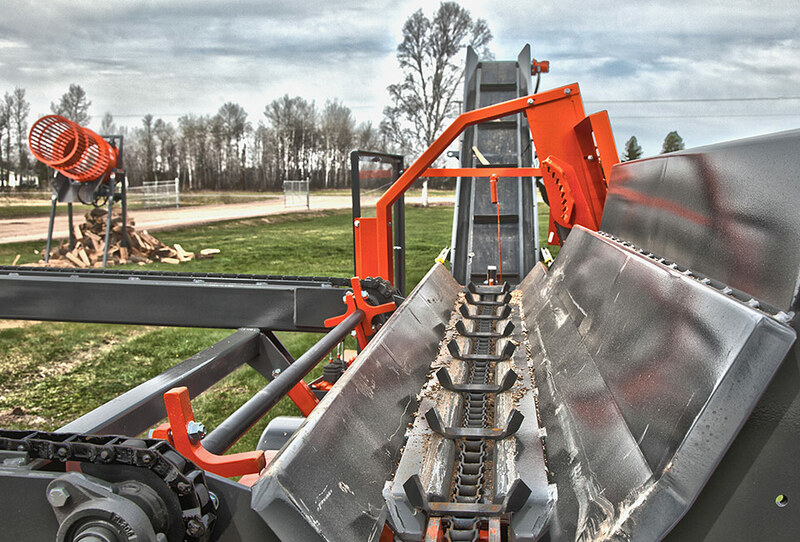 The one operator machine will quickly and efficiently cut and split logs up to 18” in diameter and 10’ long at a rate of up to 1.5 full cords per hour. 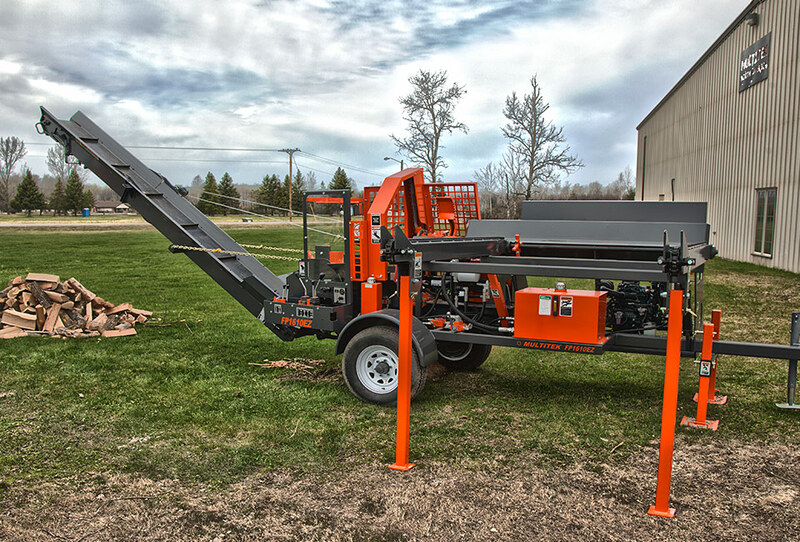 This machine can easily be towed behind a pick-up truck and offers an optional integrated 15' firewood elevator for quick set-up and mobility. The 1610EZ is the perfect firewood processor for the highly mobile contract firewood producer, or growing firewood business owner. If you are in the business of renting equipment, this self contained firewood processor is for you. The 1610EZ firewood processor features standard hydraulic joysticks for increased firewood production and operator ease. 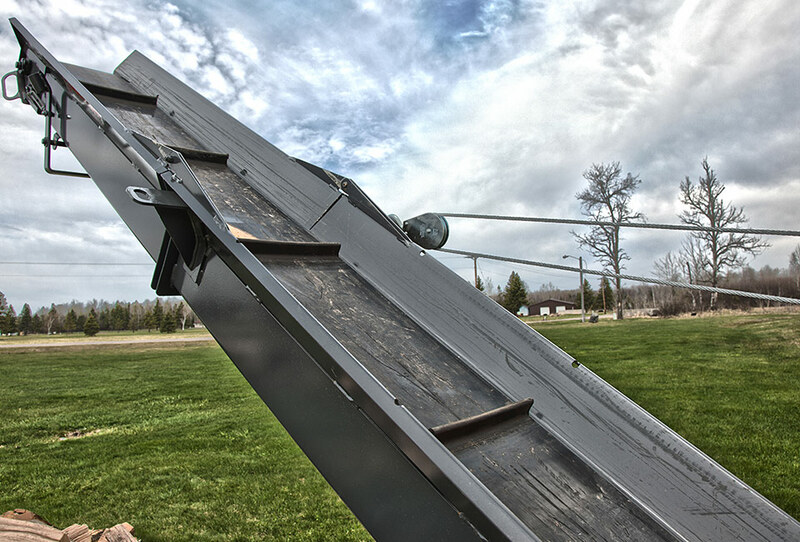 With an integral 15' conveyor with 10' discharge height, stockpiling firewood is fast and easy. With the 2 strand live deck, several logs can be set on the processors infeed deck and processed one at a time until the deck is empty. This feature is hydraulically powered and maximizes production from the machine. 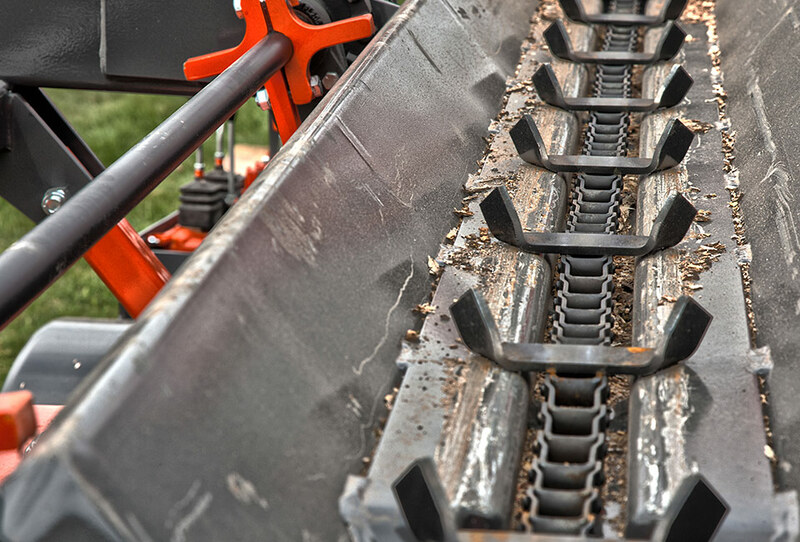 The log deck features a hydraulic cylinder that lives the deck in the air for moving the machine around your woodyard, or prepares the machine for road transport. For our European customers, we offer this firewood processor with a CE Mark kit featuring a road tow package complaint with local motorway regulations.